local authority maintained schools, including special schools and pupil referral units (PRUs). voluntary-sector alternative provision (AP), with local authority agreement. special schools not maintained by the local authority (NMSS). academies and free schools, including special and AP academies. Schools are free to spend the Pupil Premium as they see fit. However, they are accountable for how they use the additional funding to support pupils. Southwick Community Primary School Ethos. Encourage the partnership with parents/carers and foster positive links with the community. We ensure that appropriate provision is made for pupils who belong to vulnerable groups. This includes ensuring that the needs of socially disadvantaged pupils are catered for. We also recognise that not all pupils who are socially disadvantaged are registered or qualify for free school meals. We therefore allocate Pupil Premium funding to support any pupil or groups of pupils that the school has legitimately identified as being socially disadvantaged. At least 70% of any group is identified as being socially disadvantaged (range 60-80%). Pupil Premium funding will be allocated following half-termly pupil progress meetings and data analysis which will identify priority individuals, classes, groups and cohorts. We have a range of provision in place to support our children who belong to vulnerable groups, including those who are socially disadvantaged. Providing small group work with a TA focussed on overcoming gaps in learning. Additional teaching and learning opportunities provided by teachers, TAs or external agencies, including ‘booster classes’. 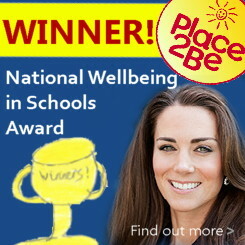 Access to therapeutic interventions and advice, such as Place 2 Be. Paying for activities, visits and visitors that broaden the curriculum. Providing a range of external visits to enliven children’s experiences. All our work funded by the Pupil Premium will be aimed at accelerating progress so that our children can narrow the gap and over time meet age related expectations. In the academic year 2018/19 we shall receive additional funding of £286, 200. Resources to support intervention groups. An overnight residential experience for Year 6 pupils. Subsidising educational visits throughout the year for all year groups. Star clubs for all pupil in Reception to Y4. Y5 and Y6 enterprise and theme weeks. After school and lunchtime groups for children. Additional Teaching Assistants to provide small group work for RWI. Music, drama and art specialists. Increase in the % of pupils making better than expected progress.